Many people contact me looking for Log Homes on Lake Keowee or rustic chalets on Lake Keowee. People looking for a weekend lakefront getaway like the coziness and warmth of building a fire in a huge rock fireplace and watching the light of the fire reflect off the huge wall of windows of their lakeside retreat. The clear, clean turquoise mountain water glimmers in the sunshine year round. The silhouette of the blue ridge mountains add to the amazing sunsets over Lake Keowee.....I can find you this! 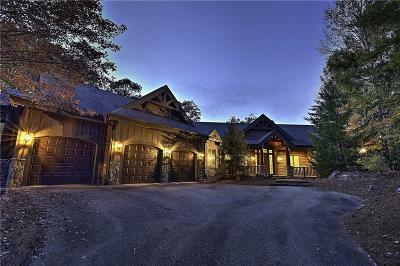 Take a look at the newest listings on Lake Keowee currently available and I will keep you updated about anything new that comes on the market. I list a lot of Lake Property so I can even let you know about what's coming up before it even hits the MLS for all of the public to see!